Title stolen from The Byrds -- So You Want to Be a Rock and Roll Star. New meme: here's a totally random way to make your new random band's new random album cover. Post one! Go to “Wikipedia.” Hit "random" and the first article you get is the name of your band. Then go to "Random Quotations" and the last four or five words of the very last quote of the page is the title of your first album. Then, go to Flickr and click on "Explore the Last Seven Days" and the third picture, no matter what it is, will be your album cover. Wasn't that easy? And look! Here's the latest album from Joelma Fire! We're an effete little band, reveling in our obscurity and refusing to sell out to the man. It's titled Visualize and Go Eat a Sandwich. Joelma Fire's latest outing is a daring departure from their previous offerings. 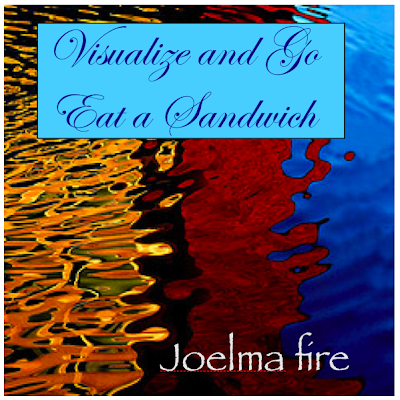 Visualize and Go Eat a Sandwich takes their earlier efforts at prompting the listener to create their own experiences a quantum leap further. Some fans may wish for the comforting hisses, pops and static that made their first three albums instant hits among their small but devoted following, but the total silence of this album challenges the listener to comprehend when the album has actually ended. You'll find yourself mesmerized for hours, listening to it over and over again...or just wondering whether or not it's time to start it over again. Be warned: visualizing the sandwich is easy; eating it takes dedication. Note: The awesome cover art is call it love from ps,,,,;s Flickr photostream. I apologize most humbly for involving the photographer in this nonsense. Nice! Think I'll download the MP3 album from Amazon! I don't want to be a rock and roll star. Well, I couldn't resist - I did it to. Michelle, what you want is irrelevant, you don't choose fame, it chooses you. Can I get it on iTunes? What I want is irrelevant. Did it get delivered to the right place? There shall be photos tomorrow. There was much laughing this evening.